Doyle Quane Freeman Family Law Group specializes in family law and trusts and estates. We have certified specialists in Family Law and Estate Planning, Trust and Probate Law and attorneys with advanced degrees (LL.M.) in taxation. Doyle Quane Freeman Family Law Group also has an in-house Certified Public Accountant allowing our firm to handle more complex matters without resort to outside professionals. We focus our practice areas specifically to family law and trusts and estates. Our family law practice includes property characterization and division, spousal and child support, custody and premarital agreements. Our trusts and estates practice includes estate planning, probate, trust administration and elder financial abuse. Our advanced tax backgrounds enable us to provide a more sophisticated representation for business owners, executives and high net worth individuals in both family law and trusts and estate matters. 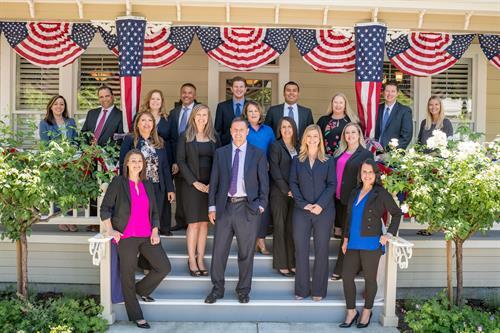 Doyle Quane Freeman Family Law Group has been located in Danville, California for over 30 years and assists clients in neighboring communities throughout Contra Costa and Alameda Counties.